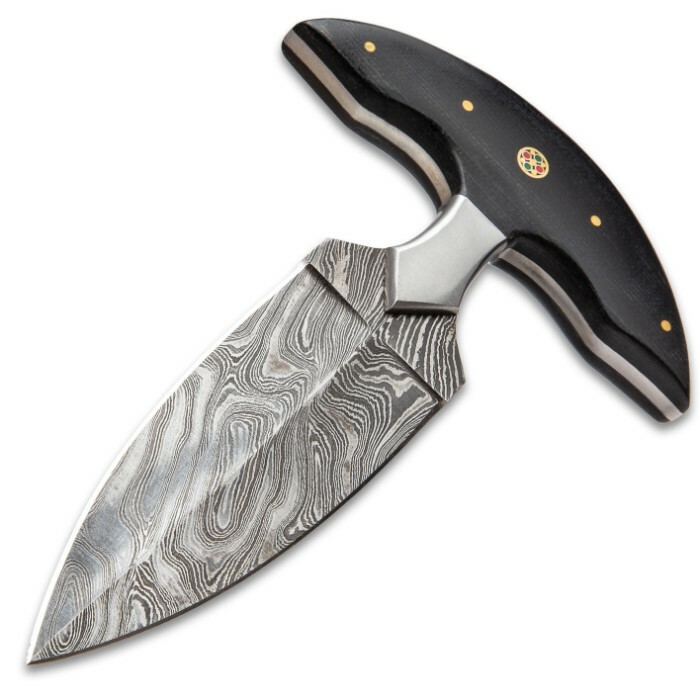 Timber Wolf Damascus And Linen Micarta Push Dagger - Damascus Steel Blade, Linen Micarta Handle, Brass Pins, Rosettes - Length 7 3/4” | BUDK.com - Knives & Swords At The Lowest Prices! The Timber Wolf Damascus and Linen Micarta Push Dagger is a fierce self-defense weapon to have with you regardless of what wilds you’re trekking through - city or wilderness! 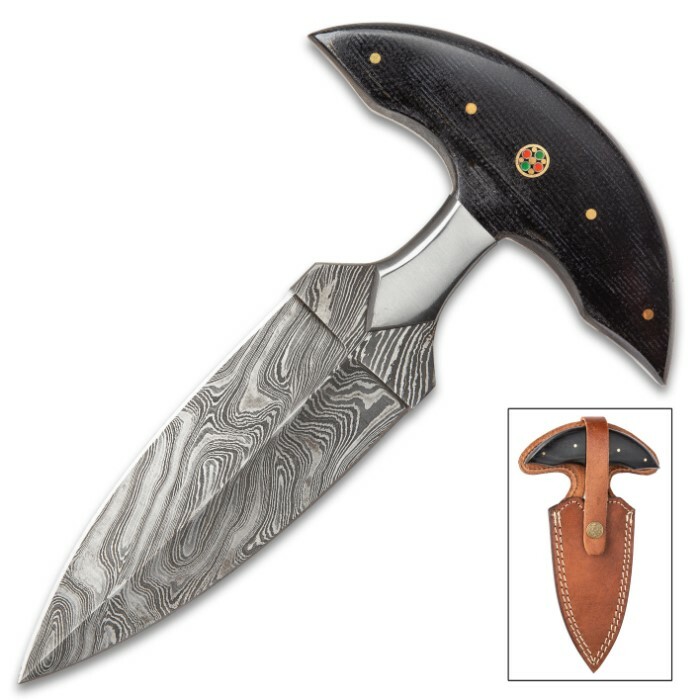 The full-tang, 5 1/4” Damascus steel blade is a dagger, which makes it doubly sharp and pointed. 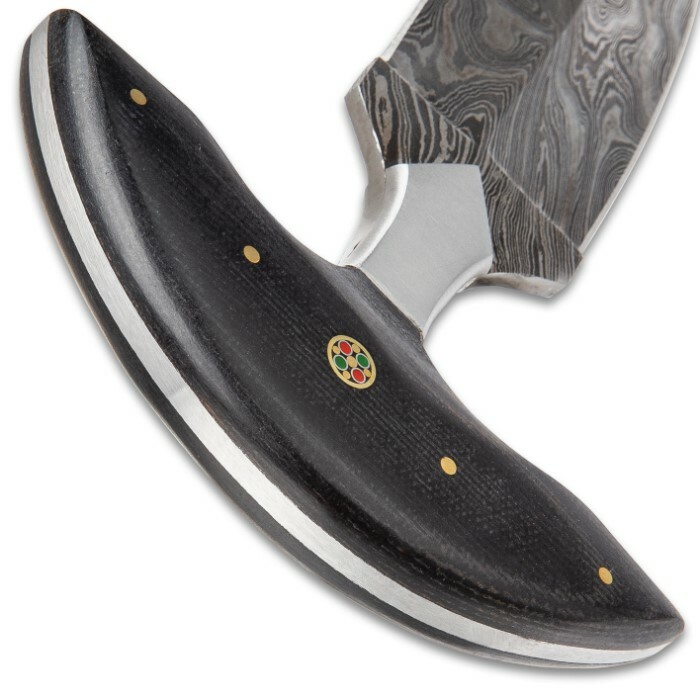 The comfortable handle has black linen Micarta handle scales, secured with brass pins, and features brass decorative rosettes. 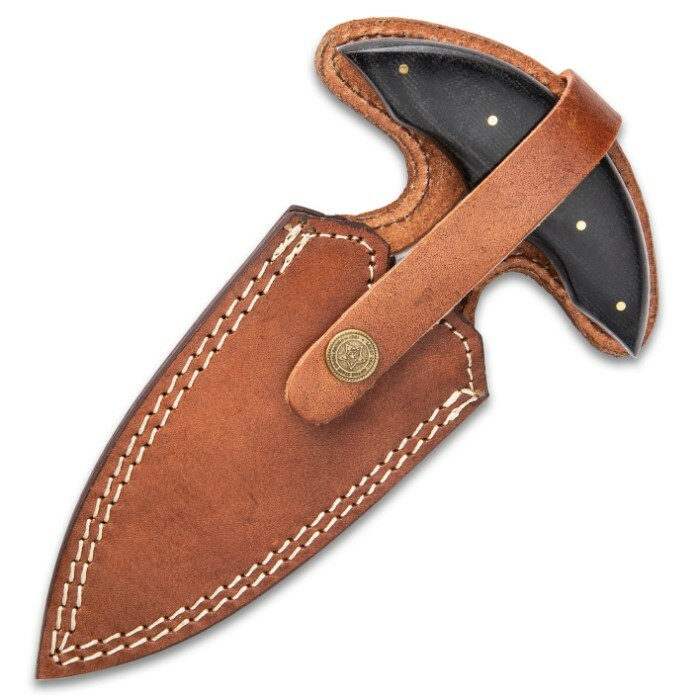 So that it goes where you need it to, the push dagger comes in a premium leather sheath with a sturdy snap closure. 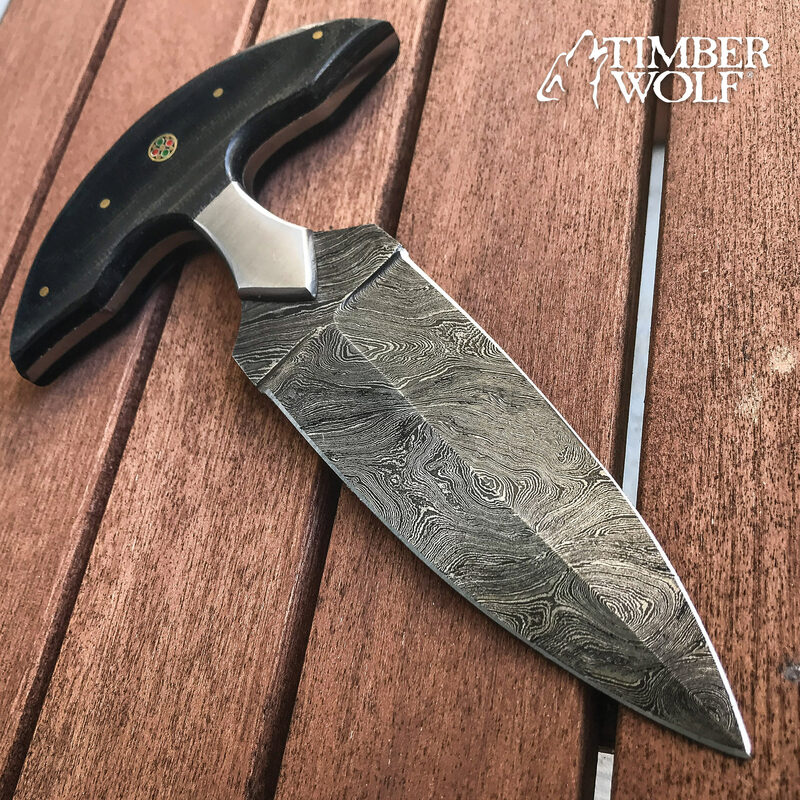 If you’re looking for something that will back you up when things get down and dirty, the Timber Wolf Damascus and Linen Micarta Push Dagger is ready to serve!